Your Hangovers: Gone. With This. Your Perks: 1) 25% off three bottles of LyteShow—a recovery drink packed with hangover-slaying electrolytes. 2) 20% off SwingTIP: a pocked-size golf-coaching device for your phone. 3) Exclusive NASA-worthy Hasselblad cameras. Here’s a New Gym. It’s Intense. Light cardio, a few curls and 15 minutes in the sauna. Some people might consider that a workout. None of whom should bother with this just-opened gym where the focus is on rigorous personal training sessions, custom interval programs and pain. The good kind. Thursday. It was just made for after-work drinks. So here’s some welcome news. Downtown Dallas decided to throw a little pop-up party in the Belo Garden with live music and beer. It starts soon. Like 5pm soon. 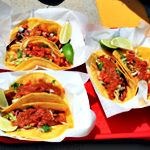 A Street Fair with Tacos. And Jenga. Fast-forward to Saturday. You’re surrounded by food trucks slinging tortas, Korean tacos and souvlaki. You’re viewing a samurai exhibit, drinking champagne and playing Twister with some yogis. Nice. 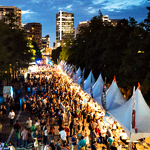 You must be at this thing: the Global Street Feast. Either that, or a really weird brunch. 300 Beers. In Case That Interests You. 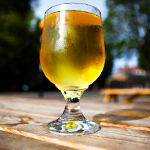 If ever you needed an excuse to drink beer, well, it’s called “Saturday.” But hey, BrewFest also works. So head to the Arts District for bands, brats and beer. Lots of beer. Like, 300 of them. Which... carry the 1, solve for X, and... yup, just the right amount. 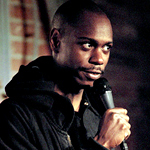 You remember Dave Chappelle. Funny guy. Used to have a TV show. Bald. Right, that’s him. Well, his roving comedy tour is rolling through town on Sunday. And he brought friends (Flight of the Conchords, Al Madrigal). Sounds like a good time. Unless you’re dead inside.